This spectacular waterfront estate is located on the private island of Tahiti Beach in Coral Gables, Florida. 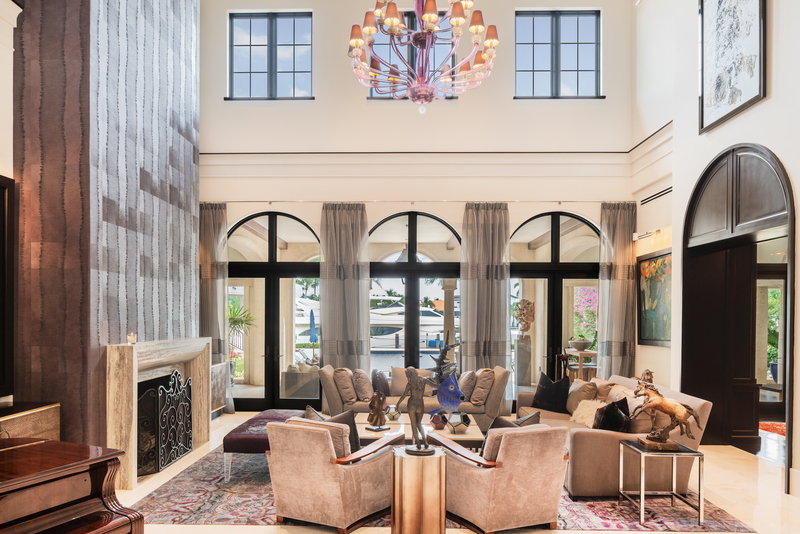 This Mediterranean home has a transitional design, which gives the home a warm and contemporary environment. 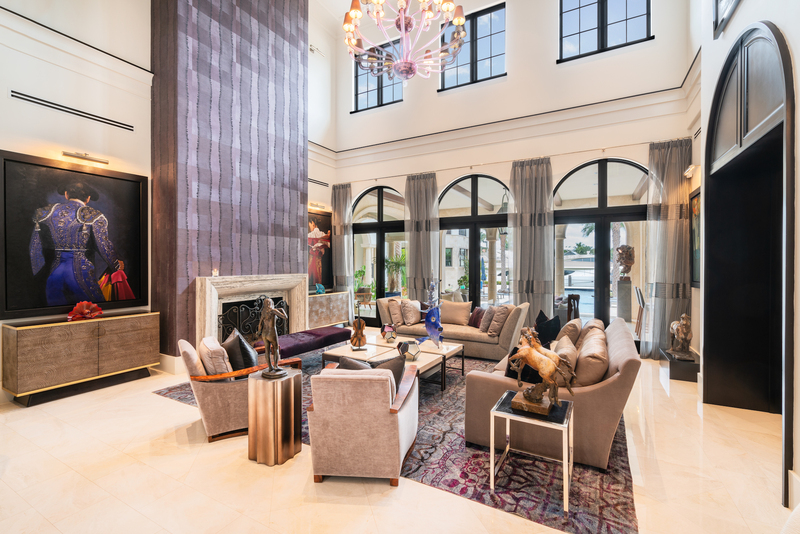 The home has soaring double height ceilings in the living room that have showcased prized works of art. There are also double height ceilings in the dining room that seats at least twelve. The den has built-in wood shelves. The large kitchen features Wolf gas ovens, a double glass refrigerator/freezer, and a full butler’s pantry. The award-winning designed movie screening room also has a built-in bar and beverage center. A 2500-bottle glass wine cellar has three temperature-controlled zones to protect your favorite vintages. The massive family room features a saltwater fish tank, and backlit onyx full bar. The poker/card room has direct access to an incredible outdoor living space with covered patio that accommodates multiple seating areas and leads to a gorgeous pool and boat dock, home gym with sauna, and health bar. This estate was custom built in 2014 by coffee baron Jose Enrique Souto. This property is listed for $23.99 million with EWM International, an affiliate of Luxury Portfolio International®.